You are here: Home / Viper Drones Blog / Part 107 Waiver Or COA? What Do First Responders Need? More and more reports are surfacing applauding the benefits and advantages of using UAS assistance for firefighting and search and rescue. 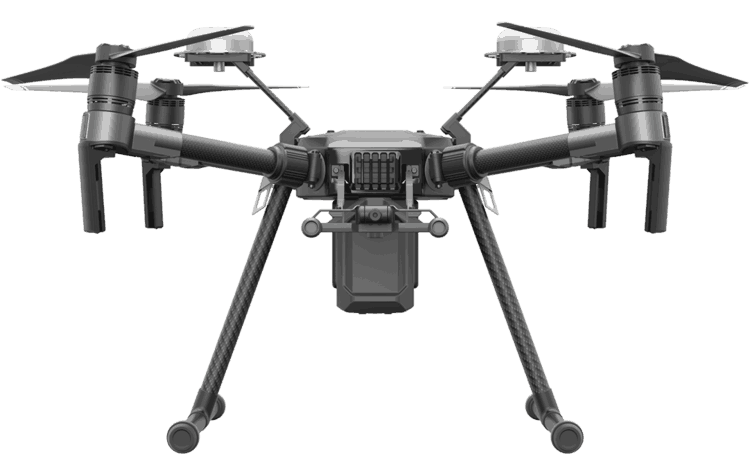 UAS integrated with thermal imaging provide the ability to see through smoke, dust, light fog, and foliage. This technology allows the user to find persons even in total darkness – able to see much farther than with other low-light cameras or night vision goggles. Additionally, deploying UAS has the potential to keep the first responder personnel safe as the increased knowledge and visibility aids significantly in critical decision-making. These are valuable assets, but what about the regulation for operating safely and within the law? To be in compliance with the FAA, do First Respondes need a Part 107 Waiver or COA? As FAA regulations change, this question arises for First Responders. The first step is to reference FAA Advisory Circular (AC) 00-1.1A which provides information for determining whether government or government-contracted aircraft operations conducted are classified as public aircraft operations (PAO) or civil operations. This AC also outlines rules and limitations of operations during PAOs. COA, and here’s why. A Certificate of Waiver or Authorization (COA) is like a waiver in that it makes it possible to train your operators internally without a need to certify each operator via the FAA RPIC Exam. This is not to say that PAO operators do not need the knowledge that an RPIC has. This is simply due to the fact the items and restrictions outlined in your COA may be more or less restrictive than 14 CFR Part 107. Instituting a training management program is still a must in order to maintain safe and successful sUAS operations. A COA should only cover your regulated flight within your jurisdiction. Where should First Responders start on drone certification? An Obstruction Evaluation/Airport Airspace Analysis (OE/AAA) account must be established in order to apply for a COA. These FAA guidelines get you on the right path for this process. What information do First Responders need for the COA request? some safety concerns that may affect your jurisdictional flight operations. Take into consideration all risks to flight safety (airports, dense population areas, high frequency radio transmission areas, etc.) when building your COA request. Mitigation measures need to be included in your COA request documentation. How long is the drone certification process for First Responders? It can take 60-90 days depending on thorough completion of the information included in the application. The FAA may request additional risk mitigation measures, answer additional questions, or even request an audit on your ability to meet the resources and requirements needed to properly mitigate all areas of your request.